As the governing party of the United States (US), the Republican Party not only has control of the White House and the US Senate, but 27 of the 50 states have Republican governors and the party controls 31 state legislatures. Understanding the policies and direction of the Republican Party is key to understanding American politics today. Speaking at the event was experienced political strategist, presidential campaign spokesperson and past nominee for Lieutenant Governor of California, Ron Nehring. Mr Nehring has substantial experience leading Republican initiatives as Chairman of the California Republican Party. As National Spokesman in the 2016 Presidential Campaign of Senator Ted Cruz, he was able to provide a valuable insight into the Republican view of politics in the USA. During the event, Ron Nehring offered to critique on the Republican Party’s embrace of protectionism under President Donald Trump. He argued that Conservatives and those who advocate isolationism should not forget the lessons of the past. After a brief rundown of US global influence post World War II, he outlined the benefits of maintaining a rules based international order and cautioned politicians of neglecting treaties like NATO. On the economic front, Ron Nehring recognised the improvements in the US under the Trump administration. He believes that growing US debt and a lack of political courage to get it under control represents a major blind spot to both parties. He offered opinions on the US trade war with China and its effects on Australia, arguing that theft of US intellectual property by Chinese companies was a major threat. He believes that the US will sign-up to the TPP in the future. He also argued for a closer trading relationship between “the good guys” and criticised European hypocrisy on areas of trade protectionism. The audience questioned how traditional Republicans hold onto their values in the era of Trump. He argued that globally, a failure by mainstream political parties to manage immigration has led to political polarisation. Recognising the grass roots Republican support behind Trump, he implored the public to look beyond the tweets and focus on the policy, which he believes are pretty good. It was his belief that traditional Republican positions did not provide an answer to those who felt the economy had left them behind. He argued that the Republican Party had to speak to more people than just small business owners. 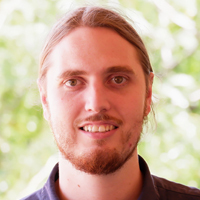 Coel Healy is a Communications Intern for the Perth USAsia Centre. He is currently studying his Juris Doctor at The Australian National University and has worked in Indonesia, Malaysia, and Cambodia.